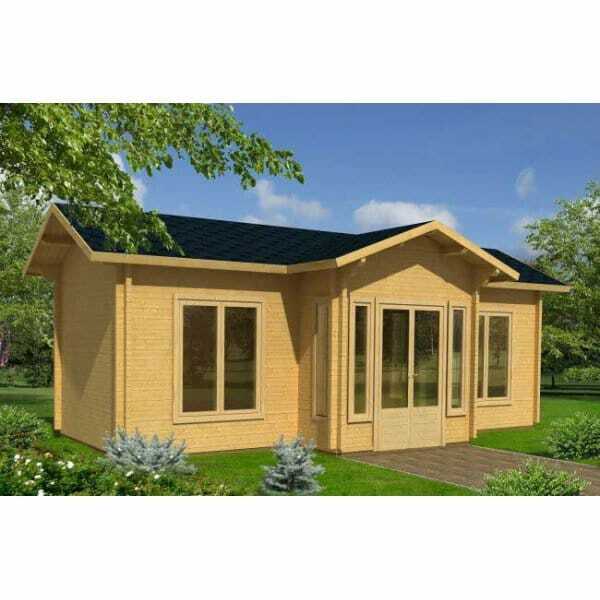 Palmako Anna 26.8m² Log Cabin is ideal as an attractive luxury garden office or studio, as well as other endless possibilities. Using 70mm wall logs and great quality windows and doors, this log cabin is extremely large, versatile and very attractive. A stunning and very popular feature in any garden and is a home from home. If the log cabin is to be assembled in a restricted space; there should be an allowance made for roof overhang to the both sides and rear of the building of 40cm. The cabin can be supplied with optional Bituminous Felt (Shed Felt) Roofing or Felt Shingles in a choice of green or black. When Shingle option is Chosen - shingles supplied will be square ended NOT hexagonal as shown in main image. In common with most log cabins, this log cabin is delivered untreated and will require the application of a good quality timber preservative.